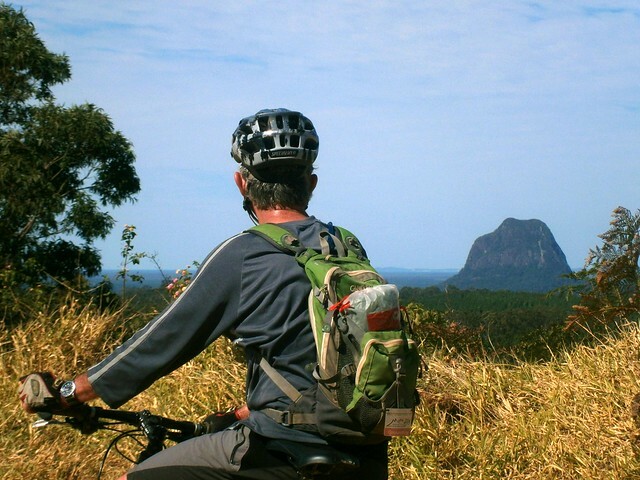 Next week about a dozen of us are taking part in a group ride through the Glasshouse Mountains between Beerburrum and Woodford. I’ve been exploring this area recently, so Eric, Tony and I spent today checking the tracks in advance out to make sure everything goes as planned. 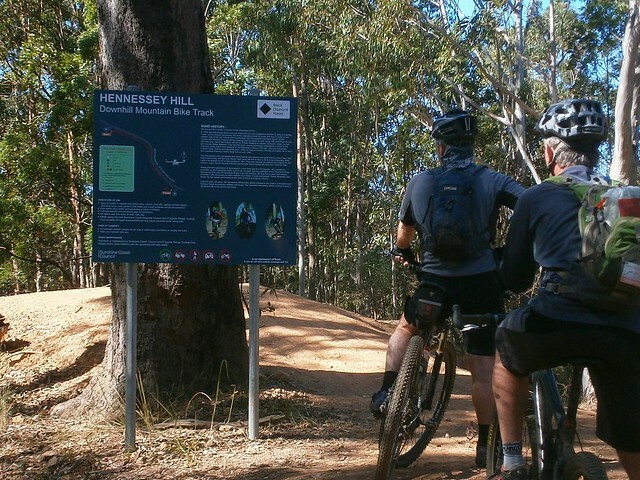 It’s not far from the Lookout to the Hennessey Hill downhill mountainbiking track. 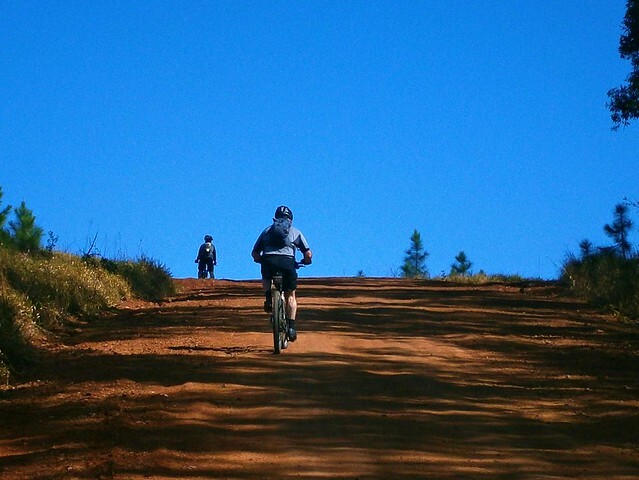 This purpose-built black-diamond track has everything for white-knuckle downhill riding – jumps, berms, rock gardens. True to form – I took it pretty slowly. I’m not really a downhill daredevil, but I do occasionally ride with some daredevils, so I’ll include a few action shots in next week’s update. Stay tuned! The ride out to Woodford took us just over a couple of hours. 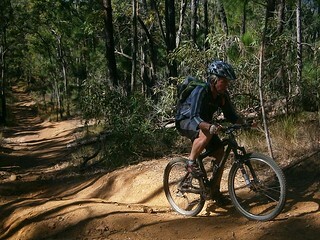 After refuelling at one of the excellent cafe’s there, we made our way back into the western part of the state forest. It’s not really an official “Lookout” but from this high vantage point west of Mount Beerwah, you can see for miles. It’s also a long way down. 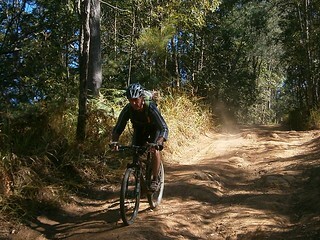 In this photo, Tony is standing at the top of what felt like a sheer drop back down into the forest. We decided we’d give it a try, and survived. 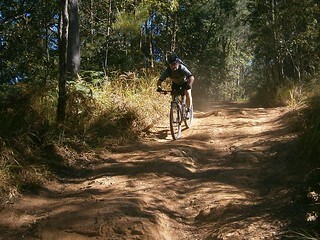 The track eventually spat us out at the bottom of the hill, with smiles on our faces. When everything goes well, gravity is a wonderful thing. 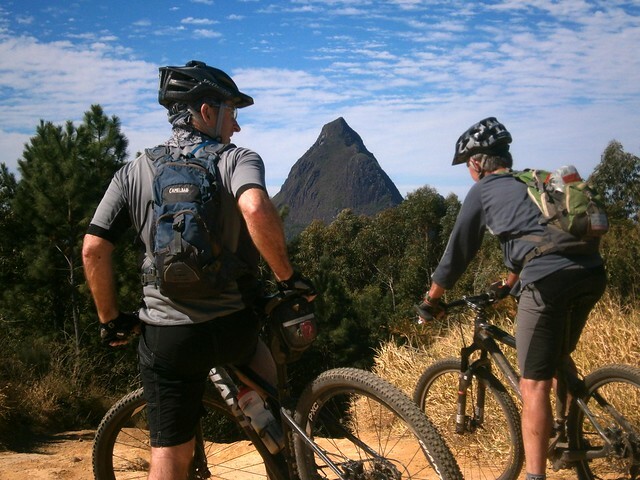 We rode back under the northern face of Mount Beerwah, and stopped for a few minutes to admire “The Organ Pipes” – a spectacular rock formation near the summit of the mountain. 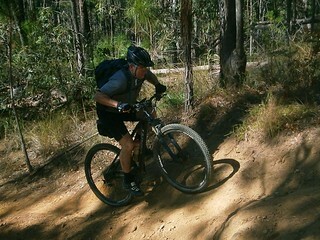 The final descent for the day was down the Collies Road track. It’s a bit like a roller-coaster with plenty of water bars to launch from. 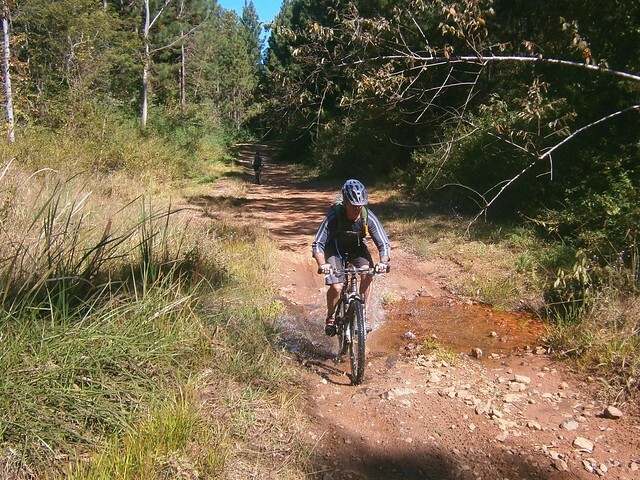 We rode 63km in five and a half hours including breaks. 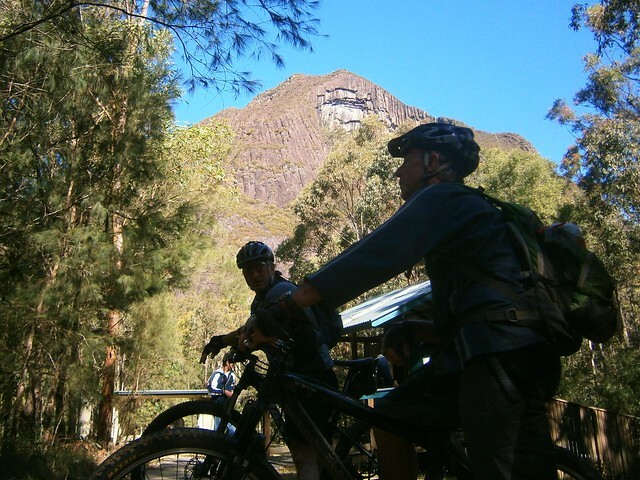 We climbed 1,100m of vertical ascent. I burned about 3,500 kcal. With the perfect weather we had today, this ride rates 7 out of 10 on the tough-o-meter. You’ll have to walk one or two bits if you’re mortal, but you’ll come home happy!